A longstanding brand. 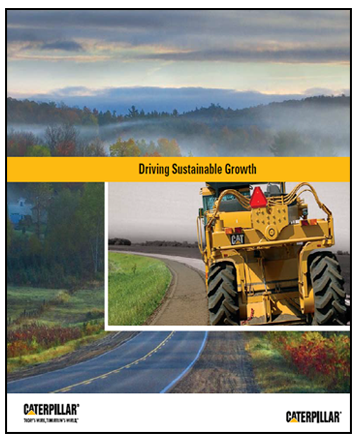 An industry leader. The best quality solutions. 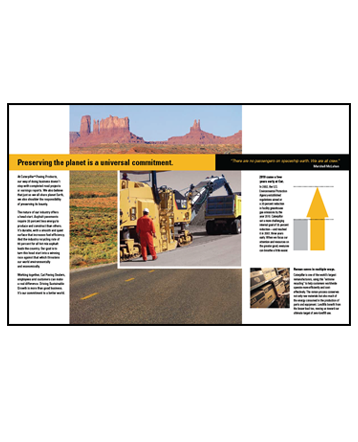 CAT Paving is a key player in the heavy duty construction world, and as a comprehensive solutions-provider, it needed a comprehensive marketing partner. 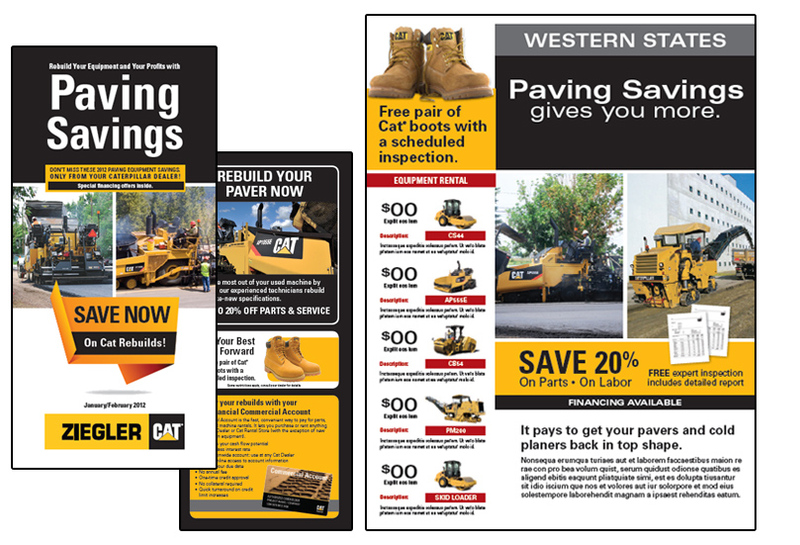 The frank Agency teamed up with CAT Paving to develop strategies that would boost its global position, generate leads, and engage local dealers to streamline the sales process. 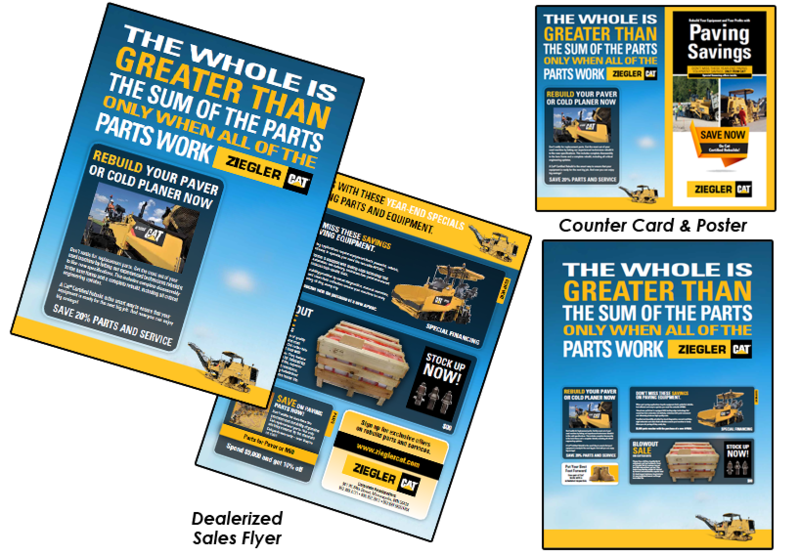 Through multi-channel efforts and multiple campaigns, Team frank helped deliver an overall 20% increase in sales and a stronger global footing. We call that heavy duty. It’s not easy making inroads in a global market, especially when your product consists of high-dollar equipment. 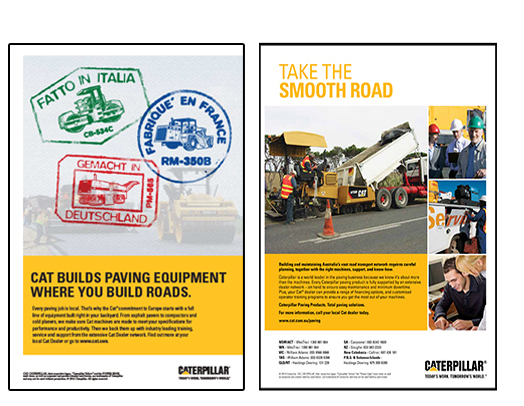 We created global messaging that would position CAT Paving as not just a quality equipment provider – but as a global provider with a solution to every paving need. 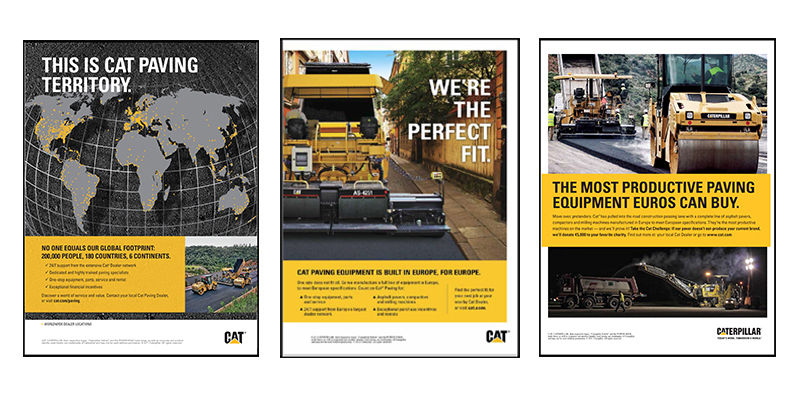 With ads tailored to various regional markets, CAT was able to show that their brand is ready to fill the role of a global leader in paving equipment. 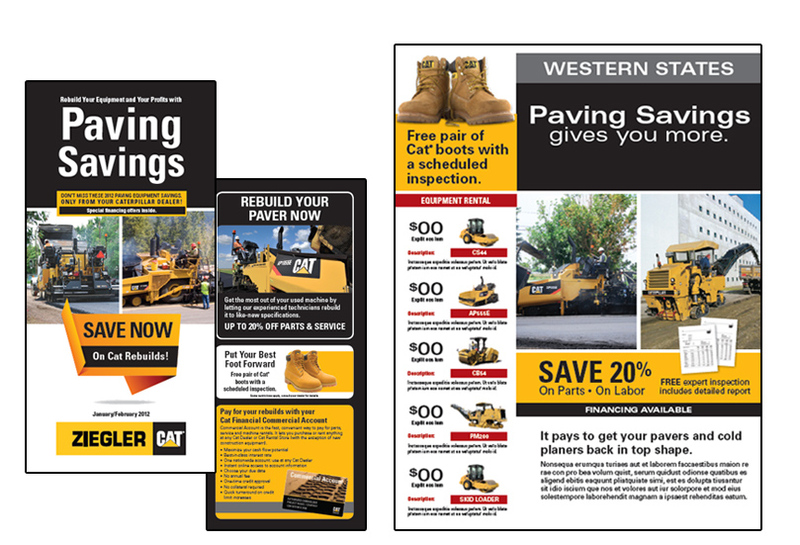 The dealers are an indispensable part of the CAT Paving sales process, and our customized dealer marketing program provided ready-made, brand-compliant creative that allowed them to tailor traffic-driving offers and promotional specials to their local markets. 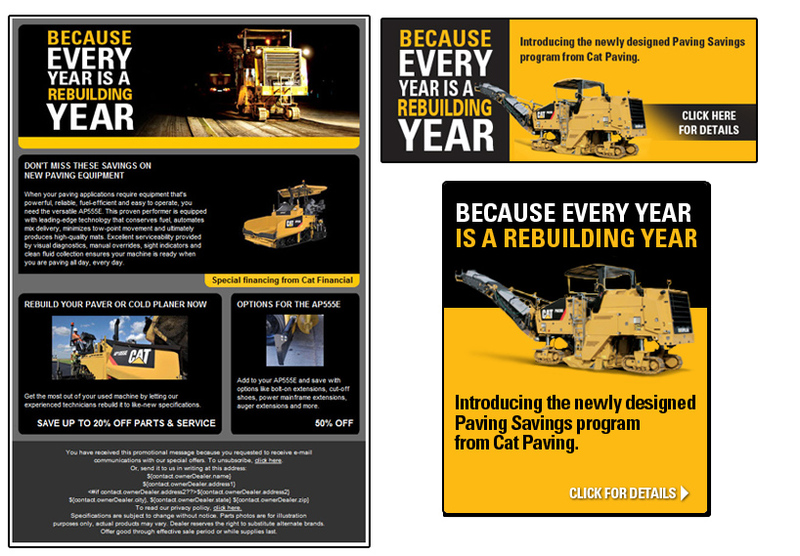 Designed to generated qualified leads in the commercial construction, heavy highway, government, utility and airport construction segments, this high-impact direct response campaign offered a branded incentive for meeting with the local CAT Paving dealership. 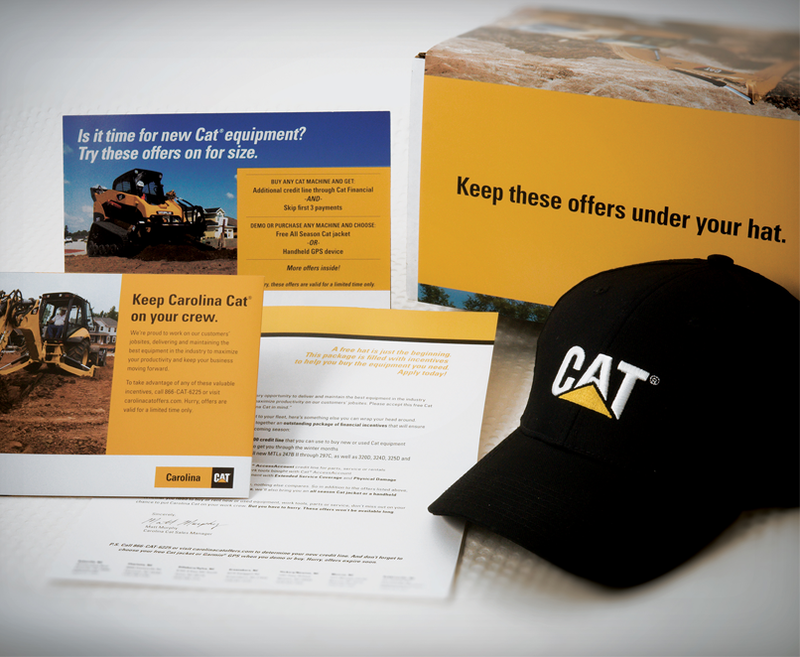 Online presence is critical, and Team frank helped give CAT Paving the digital boost it needed. 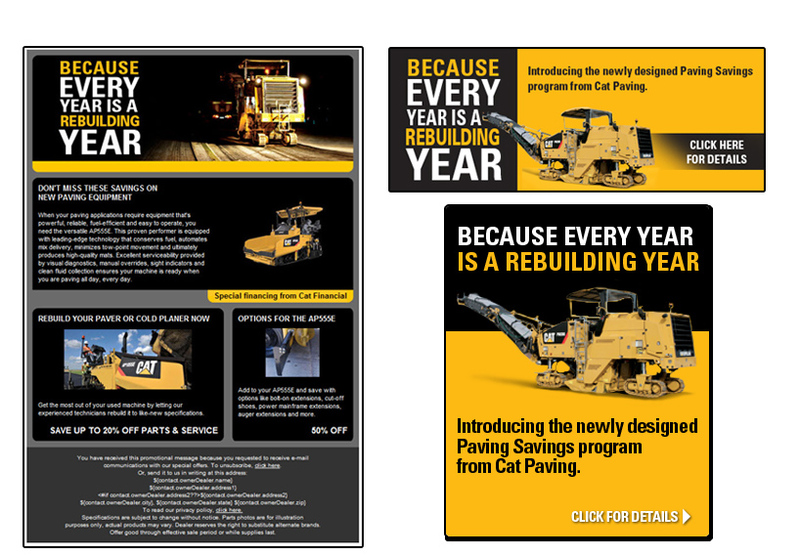 High-impact display ads and emails were created to drive traffic, improve CAT Paving’s visibility and generate more leads. 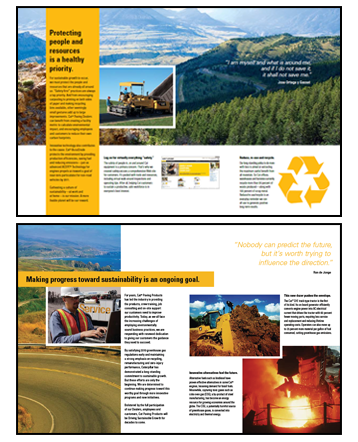 When Caterpillar Paving Products needed a corporate brochure that communicated its mission and vision in the area of Sustainable Growth, Team frank answered with engaging creative that drew the reader in with copy and photography that reinforced the Caterpillar brand with dealers, employees and customers alike. 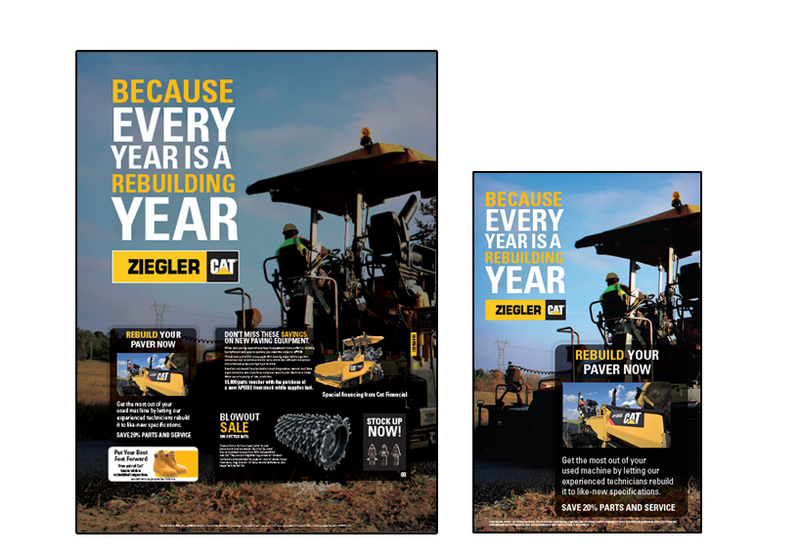 Counter cards, posters and other point-of-sale literature provided tangible messaging to amplify brand awareness and drive local dealership sales. Dealer marketing is local marketing. 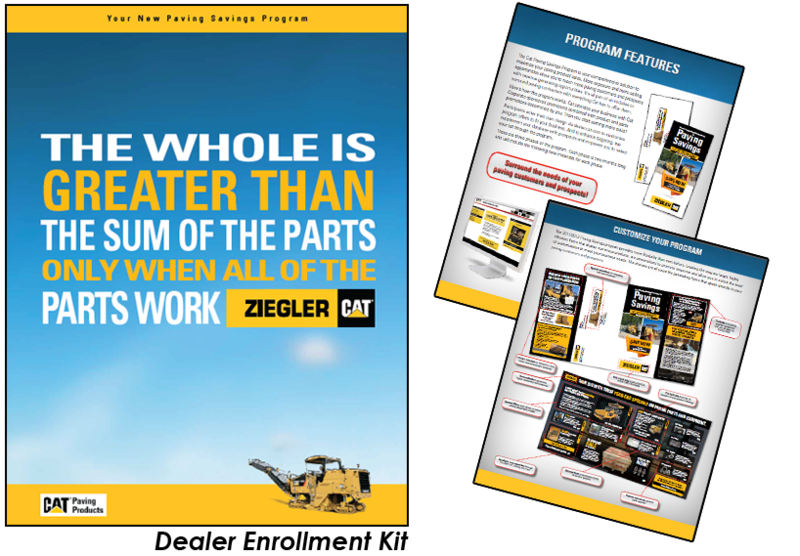 So the promotional flyers included in our programs could be easily customized for each location with dealer logos, product photos, equipment specials and pricing.